Howdy, friends and neighbors. This month the Big Enchilada goes hillbilly nuts. 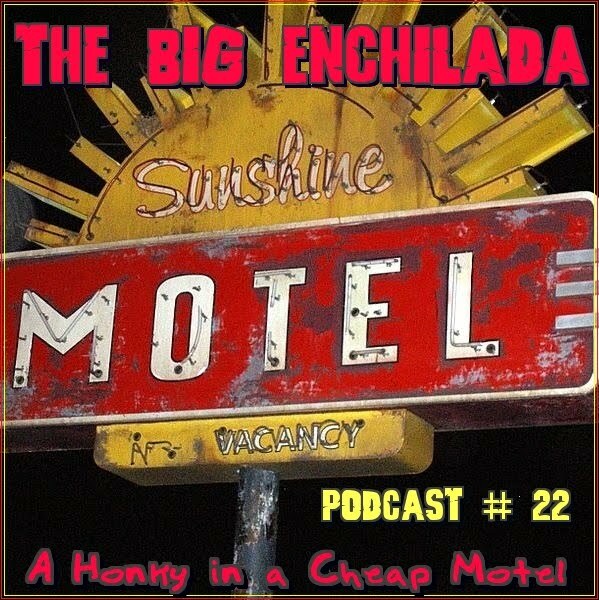 Time to check into the Sunshine Motel, where I've stashed all sorts of rockabilly, hard-core honky tonk and other crazy country sounds. There's lots of local talent from New Mexico like Mose McCormack, Kell Robertson and Kris Hollis Key, plus the likes of The Ex Husbands, Bloodshot Bill, Flat Duo Jets, The Corn Sisters and Miss Tammy Faye Starlite. Plus there's all sorts of hillbilly heroes from the days of yore -- Rose Maddox, Jess Willard, Roy Hall, Tani Allen and so many more. Like my KSFR radio show, The Santa Fe Opry, this is the country music Nashville does NOT want you to hear!